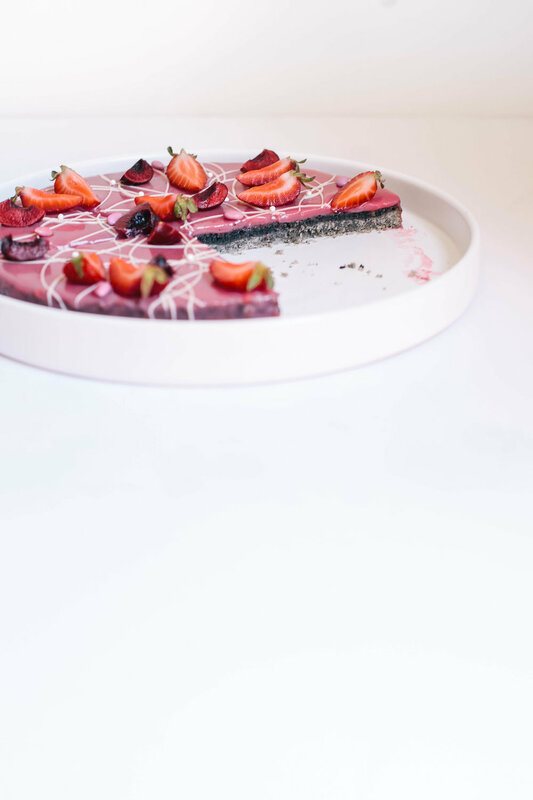 Strawberry Black Sesame Tart — always with butter. Another Maja Vase inspired tart. 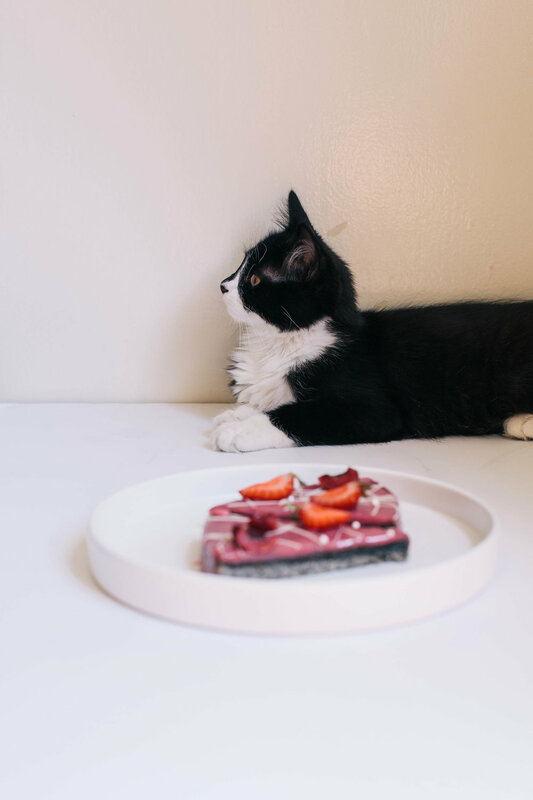 The nutty black sesame and the sweet floral strawberry ended up really nice together. Her original recipe called for black currant, which is something that is not easy to find in my area. So the fresh in season strawberries it was. Little Charlie was at my feet all when I was making it, jumping into the shot for photos and sitting right in front of my computer screen as I type. So different than Christmas who prefers to sit on the windowsill or a nice spot on the bed to lounge on. Blend sesame seeds with flour in a food processor. Add butter and salt and blend it quickly. Gather the dough with the egg. Roll the dough between two pieces of baking paper and let it rest in the refrigerator in min. 1 hour. Cover a dough (18-20 cm in diameter) with the dough and dot the bottom with a fork. Put the pie in the fridge while making the filling. Blend sesame seeds into a flour. Add to almond flour, sugar, butter, egg and salt in a bowl. Whip it all together well. Distribute the sesame pan in the pie, and smooth the surface with a palette knife. Bake the pie for approx. 25 minutes at 350 degrees until it is fine golden and let it cool off. Melt the chocolate in a bowl over a water bath and take the bowl of heat. Bring cream and strawberry to the boiling point in a small saucepan and pour it over the chocolate while stirring in the middle of the bowl with a scraper. Continue stirring until the ganache collects and turns beautiful and shiny. Stir in lemon juice. Pour the ganache in a thin layer on top of the sesame, and chill for 1 hour until the ganache has settled. Based on Maja Vase's recipe.